Ever since 2010’s Lords of Shadow, the Castlevania franchise just hasn’t been the same. Seeing as how Konami is currently making some questionable moves, Koji Igarashi is hard at work creating a spiritual successor to the franchise. This game will adopt the ‘Metroidvania’, or as he calls it ‘Igavania’ style of gameplay that was made famous by titles such as Symphony of the Night, Portrait of Ruin, and Dawn of Sorrow. Bloodstained: Ritual of the Night is a 2.5D action platformer in the vein of SOTN. Playing as a young girl named Miriam, you investigate the appearance of a mysterious castle in a world controlled by an organization known as the Alchemist Guild. The gameplay will feature a crafting system, upgradable weapons, and special abilities. 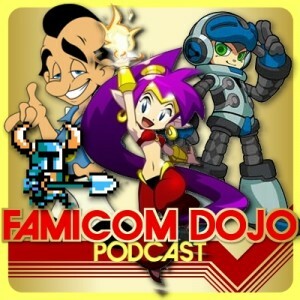 The art style (right down to the logo as seen above) evokes memories of Konami’s classic franchise. Iga even recruited longtime Castlevania composer Michiru Yamane to do the soundtrack. Seeing as how Koji has gone indie, he’s turned to Kickstarter to secure funding for the title. While he was only asking for $500,000, He managed to raise over 3 times as much (as of the time of this article). With the funding, Iga has secured several stretch goals such as new characters, and voicework from David Hayter (that’s the former Solid Snake) to those who don’t know. The game will be developed by Inti Creates, who are currently working on Mighty No. 9, a spiritual successor to Mega Man. It’s clear that this title will be to Castlevania what Mighty No. 9 is to Mega Man. Perhaps next we should get someone to create a spiritual successor to Contra? Igarashi is hoping to release the game on Mac, PC, Linux, Xbox One, and PS4 in March of 2017. 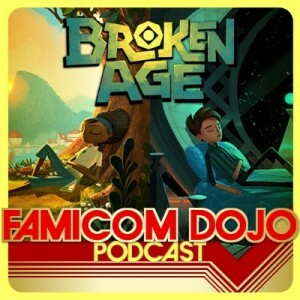 Spearheading the revival of adventure games, Broken Age Act 1 was released last week on Steam for the Kickstarter backers (and press reviewers). A decision to black out reviews until later in January was reversed only a couple of days after the game came out. Broken Age is just that good. Even though we haven’t finished it (as of recording this episode), we wholeheartedly agree that it will become an instant classic. Sean and Vinnk talk about what killed the adventure game for our generation, revel in its revival thanks to companies like TellTale and Doublefine, and crowdsourcing for an explosion of indie games on websites like Kickstarter. We can’t agree on just what an adventure game is, exactly, but that’s part of the fun, right? Created by Indie developers Endless Fluff games, Valdis Story is the type of game that would have been a best seller if it had been released on the Playstation, or even the Super Nintendo. Valdis Story’s graphics and sound are a work of art, the story is intriguing, and the Castlevania: Symphony of The Night style gameplay isn’t bad either. 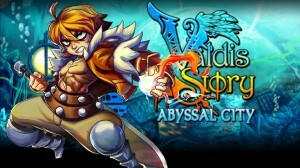 Valdis Story began in 2007 as a free game on the developer’s website. The game was given a kickstarter for a full scale release, and the kickstarter was successful, with the game even being greenlighted for Steam this past October. In fact, you might have picked it up for cheap during one of those Steam sales. Ever since Double Fine Adventure (a.k.a. Broken Age), Kickstarter has been the go-to place to fund games in genres long-thought dead (e.g. Adventure Games), by creators long thought dead (e.g. Al Lowe — kidding! We love ya puddin’), or franchises long thought dead (e.g. the Mega Man-esque Migthy No. 9 by Keiji Inafune). Is this a good thing? And can it possibly last? Vinnk and Sean discuss their one-night-only Madison Underground live show, including the story of being accosted by a supposedly off-duty Marine while filming some footage for the show. It’s a long story, and we totally tell it! We also talk about which Kickstarter games are the most interesting, which ones we’ve funnded and played, and whether or not having a Wii U stretch goal is an absolute necessity (well, Sean thinks so). We also tried out some “delicious” Pepsi-flavored Cheetos — complete with video! Even though he’s made more in his career than most of his contributors will make in a lifetime combined, CBS Schoolbreak Special one-time guest star Zach Braff has successfully raised the more than the requested $2 million dollars to complete his new indie film that he terms as a spiritual successor to his decade-old feature film Garden State. The erstwhile SeanOrange doppleganger admitted in his video that he was inspired by the $4 million success of the Veronica Mars movie Kickstarter campaign, a film which unlike Braff’s new film has major studio backing. “‘You would think a big star like me would just have $2 million squirreled away for just such an occasion… but really, I don’t,’ Zach Braff in no way said, but at least I’d imagine he’d say it,” said Sean “The Orange” Corse. Sean embarked on a failed YouTube campaign in 2008 to call out Braff for growing the same kind of patchy, fuzzy beard-like facial hair for the final season of what Corse terms as “the ‘Real’ Scrubs”. Yet more great Kickstarter gaming news! So a back earlier this year, I produced a retro review of “The Great Giana Sisters”, a game from the Commodore 64 and Amiga days of gaming that was notorious for being one of the earliest Super Mario Bros. clones in existence. The review mentions a recent remake of the game for the Nintendo DS that, while imaginative, some fans believed fell short on paying proper homage to the original’s fantastic music and unique charm. Unbeknownst to me, a Kickstarter was established by independent developers, Black Forest Games, under the name “Project Giana”. With the idea firmly cemented in their brains, they set to work with the goal of making a truly innovative remake of Great Giana Sisters that would help to not only bring back the spark of the original game, but hook players that may not have cared for the DS revamp. 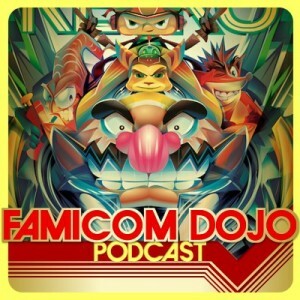 What the Kickstarter originally didn’t really make clear, but thankfully writer Audun Sorlie at Destructoid managed to lay all out on the table with his interview with BFG, was that original game composer Chris Huelsbeck was along to help with the project’s soundtrack, along with DS-version composer Fabian Del Priore co-producing and metal-chiptune maestros Machinae Supremacy along to help out. With a playable demo currently available to try, and a ton of goodies for those who pledge to the fund, (the very first tier gets you the game for PC), “Project Giana” is shaping up to be one of those Kickstarters that again appeal to the childhood gamer in so many of us. (Now that we’re adults with larger budgets than our weekly allowances) Whether it make it’s 150K goal within the August 31st deadline or not will be determined these next few days, but if it does, it will be another testament to the growing idea of resurrecting similar older games through the power of the gaming community.